The administration of Gov. Phil Scott is considering a drastic reshaping of Vermont educators, according to a planning memo acquired by the Parmelee Post. The memo, the second in a week, calls for the formation of a single, unified teacher to handle the education needs of Vermont public schools. “It's more of a thought experiment than a practical use of time,” admitted one of the memo’s authors, Marge Aldistricts. “If we're serious about slashing education spending, we must keep all options on the table — including forced teacher consolidation." The memo concludes that, through a little gentle human splicing, Vermont could consolidate all of its teachers into one heaping mass. The resulting teacher would increase the state’s overall student-to-staff ratio to an impressive 90,000 to 1. Education advocates say schools still need time to adjust to the changes resulting from the Act 46 district consolidation law before they can entertain thoughts of human blending. 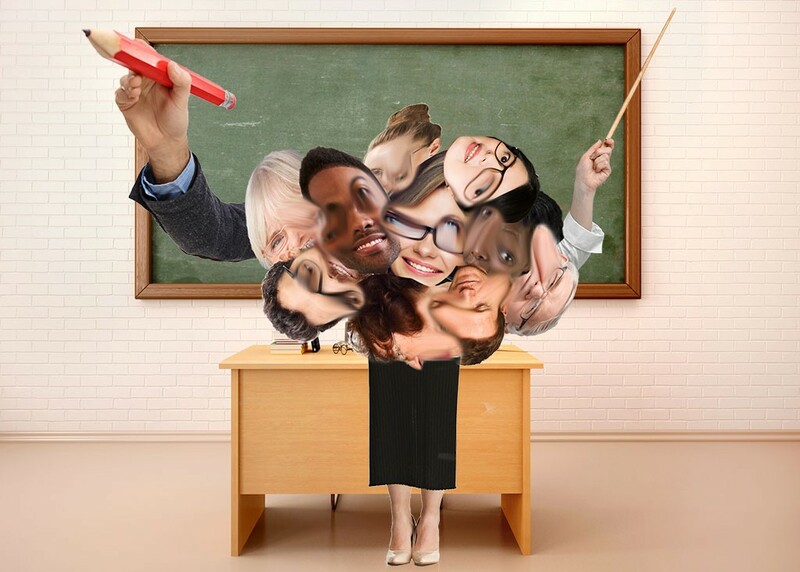 Administration officials acknowledged that now may not be the time or place to physically conjoin educators, but seemed confident the idea could eventually gain traction.